Pelican Island NWR, Titusville, Florida: Pelican Island is officially the first national wildlife refuge, established in 1903 by Executive Order of President Theodore Roosevelt to protect not only the pelicans but also herons, egrets, cormorants, and ibises being hunted for sport and for plumes to decorate ladies’ hats. Subsequent acquisitions and designations have increased the size of this refuge from the original 3.5-acre island to thousands of acres of protected islands and open waters. 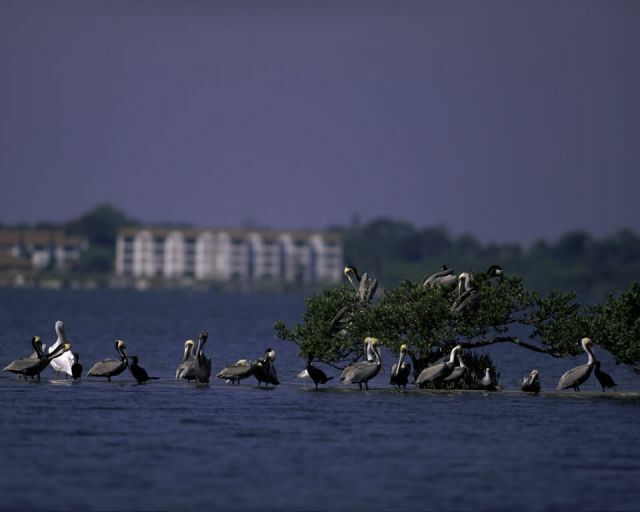 While the Fish and Wildlife Service plans to build a visitor center, good views of the island and its magnificent birds can be had from the Town of Sebastian and from boats that can be rented locally.